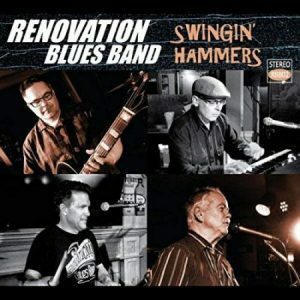 Renovation Blues Band comes from Western Canada and has been together since 2007. They released a live album in 2012 but this is their first studio release, recorded over a two year period on vintage equipment. The band consists of Sean Kilback on guitar, Howard Mallett on bass, Paul Gorosh on drums and Darcy Phillips on keyboards; Morgan Rennef Onda adds sax to two tracks. The band is fortunate to have three members who can all sing well and Sean, Howard and Paul share out the vocals fairly evenly. There are four originals interspersed between covers from both classic and contemporary artists, the accent being on swinging material, hence the album title. Paul leads on Wynonie Harris’ jumping “Down Boy Down” which swings mightily, aided by Morgan’s sax work, before Howard covers the classic Mel London tune “Cut You Loose” which brings Darcy’s keyboard work to the fore in a fast-paced version. Titus Turner’s “Get On The Right Track Baby” dates back to 1956 and was covered by Ray Charles and Georgie Fame and Howard does a fine job on the vocals here. Georgie Fame was, of course, an organ player and often covered Jimmy McGriff tunes and RBB does the same here with an excellent instrumental version of “All About Our Girls” which features plenty of Darcy’s organ work but also Sean’s guitar, even a short bass feature as Paul uses brushes to add to the late-night jazz club feel. The band seems to have a penchant for alcohol-related songs as they cover Roy Milton’s “Bartender’s Boogie” (complete with chinking ice cubes!) to which you can add Sean’s tribute to beer “Barley, Hops And Water” which is another boogie tune. 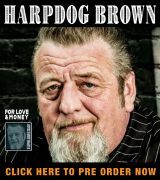 The band selects two tunes from contemporary writer Jeff Turmes, the first being “Happy Hour”, a song in which Paul sings of his girl’s ‘enthusiasm’ for drinking – not a recipe for a happy relationship, it seems! Three contemporary artists who all died far too young are celebrated by the band: Lynwood Slim is the source for “Tried To Call You” which brings Sean to the mike for a really swinging version with Darcy’s piano and Sean’s ringing guitar taking the solo honours; Nick Curran’s “This Time I’m Out The Door” finds Sean playing some great guitar over an insistent rhythm section, complete with howl at the end; Sean plays some fine stinging guitar on Sean Costello’s “Cold Cold Ground” (written and recorded when Sean C was only 20 years of age). 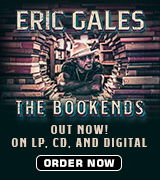 The band tackles another contemporary writer, Curtis Salgado, with “What’s Up With That”, a track co-written by New Orleans piano man Jon Cleary and originally on Curtis’ 2008 album Clean Getaway. The second Jeff Turmes composition is the rocking “She Never Gets A Minute Of Sleep” which is the second song to feature Morgan’s sax. A shame that they could not get him on to more tracks as his sax work definitely adds to the overall sound. That leaves three other originals to discuss. Sean wrote “Leroy (Inside Or Out)” which is a tribute to a dog that is clearly greatly loved but has his irritating features. Sean’s “No Beg Or Borrow” fits right in with the rest of the album with a rocking rhythm section, twinkling piano and tough guitar while the album closes on the comic double entendre “Stove Top Stuffin’” which writer Howard clearly did not intend to act as a recipe book. Overall a very enjoyable album which pays tribute to influences past and present. As the originals stand up well against the covers it would be good to see the band increase the proportion of their own material next time around. Meanwhile, however, this is an album well worth adding to your collection if you enjoy 50’s style swinging and jumping blues.